It was only yesterday that Tonton House showed the world plush versions of the soft and lovable versions of Tonton Friends. TODAY it came as a surprise that Tonton House has launched a crowdfunding under tumblbug so collectors can be the first to own them. Like we said yesterday, our lives just got a whole lot fluffier! 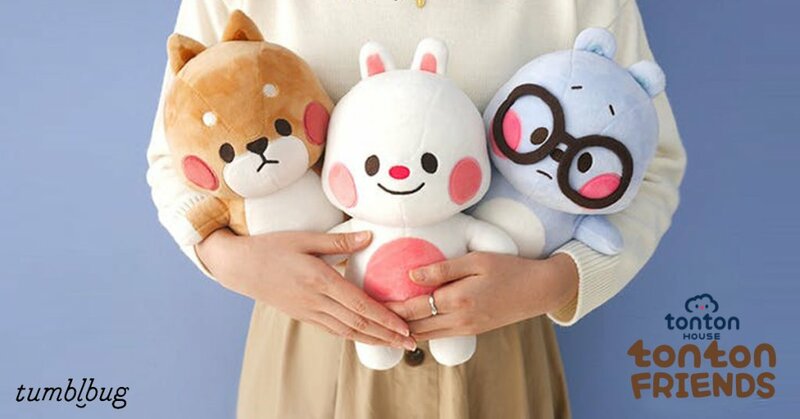 We’ve been patiently waiting for Tonton Friends 톤톤프렌즈 vinyl toys (scrap that, we’ve not been patient at all) Yesterday 톤톤프렌즈 from Tonton friends upload PLUSH VERSIONS! Sorry for shouting but they are so CUTE. Tobi, Winnie, Bella and last but not least Yuta all getting the soft plush treatment. A must have along with the vinyl version of Tonton Friends now YOU can be apart of the Tonton via tumblbug. You have until November 20th, 2017 to back the project HERE https://www.tumblbug.com/tonton and join the Tonton Family. Vinyl toy versions if you haven’t seen them before, WARNING SUPER ADORABLE. We’ve seen many cute characters from South Korea but 톤톤하우스 Tonton House uber cute characters have to be at the top of the pile right now. Best thing is in 2017 all Tonton House characters will be made into figures! Yup rumours are true and 톤톤하우스 Tonton House confirmed with us last week that production is in its final stages and all 4 lovable characters, Winnie, Tobi, Yuta and Balla will be transitioned from illustration to a 3D figure! No cubby will be missed as the prototypes below shows all still lovable and huggable just like me  chubby RULES. One release to look out for right? Being a Shiba Inu owner I’ll be wanting Yuta the most. We do know they should be released anytime soon so stay tuned for release details. Check out http://tonx2house.com/ for all 톤톤하우스 Tonton House comic strips. You can also find them on Instagram, Twitter and Facebook.